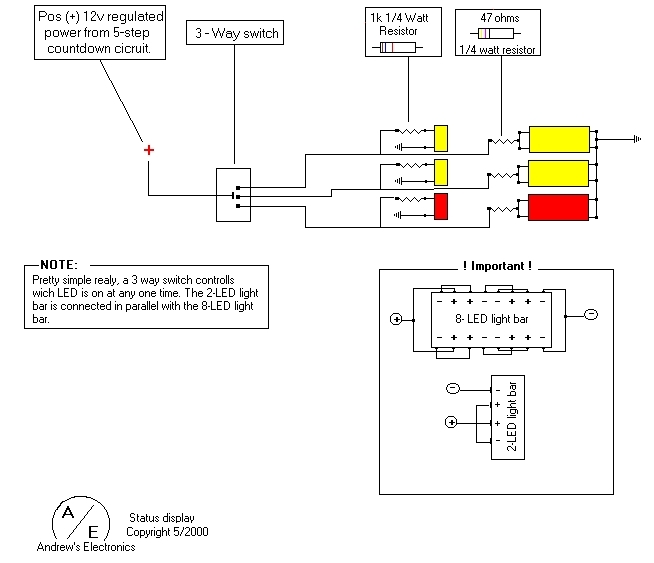 This circuit is very simple, you have a 3 way switch controlling which LED light bar set is on. Only one set can be on at one time, you use the switch to select between Normal, Auto, or Pursuit. Wire the power from the output of the 5-Step countdown circuit to this circuit since it already has 2 voltage regulators in it, this circuit will be protected from surges also.